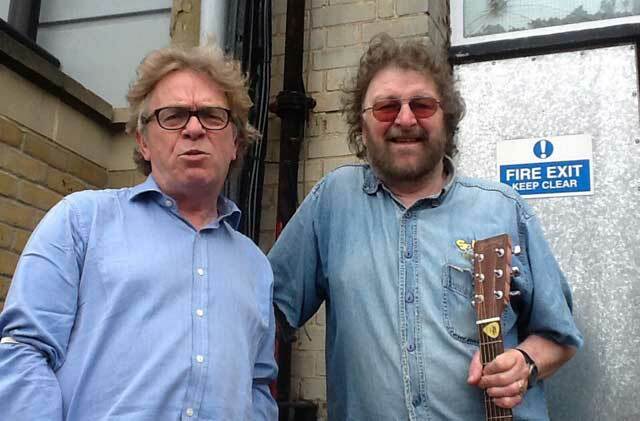 Thanks so much for putting this up David, great to be reminded of Chas’s story, not just…’n’Dave but back beyond Lonnie Donegan to his grandparents – everything that’s been missing from the news items and obits. The podcast does cut off suddenly at the end though – are we missing a bit?! Now fixed. You may need to re-download or refresh, depending on how you get your podcasts. And the fix be take some time to show, depending on how you get your podcasts. But it has been fixed. That was a great listen, very entertaining and a great insight into the man and band. PS. Fraser; Thanks for restoring the missing end piece, when he talks about the….. Well, best not spoil it for people who, though unlikely, might read the comments first. Over a week later and the freshly downloaded file that Download app gets is still missing the end. Tried to use the Hipcast link on this page and it (or any other episode) won’t play at all on my iphone. Puzzling. The Hipcast embeds are shonky at best at the moment, but that’s out of our control. I find that if you just leave the page loading, it’ll start as if by magic after several minutes. As for the old version downloading, it’s probably a cache issue as the filename is the same as the new version. I’d suggest trying a different app for this episode, then go back to using what you’re currently using for the next.